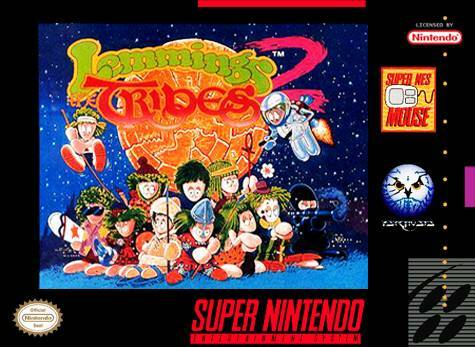 Lemmings 2: The Tribs for Super Nintendo is the sequel to the popular puzzle game that has players guide clueless cartoon lemmings through trap- and peril-laden 2D levels. Only by getting together at the center of the island and reuniting the pieces, the lemmings can escape. The 12 unique tribes in the game are: Beach, Classic, Cavelem, Circus, Outdoor, Egyptian, Highland, Medieval, Polar, Shadow, Space and Sports.